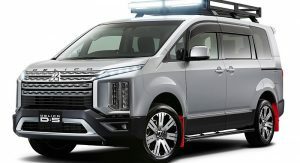 Mitsubishi unveiled its 2019 Delica D:5 about a month ago, as a minivan-crossover mashup, with boxy looks, a spacious cabin with three rows of seats plus a 2.2-liter diesel engine, good for 172 PS (170 HP) and 392 Nm (290 lb-ft) of torque. 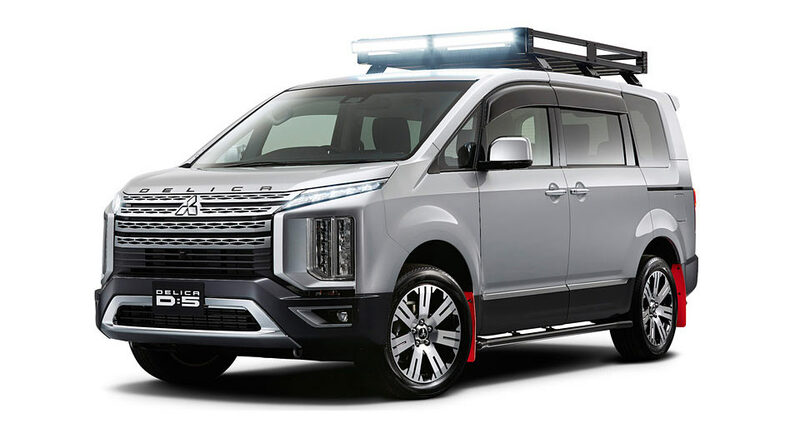 The Tokyo show-car adds heavy duty roof rails with LED lights, black under-guard bars, “Delica” lettering on the hood, red mudflaps and various Mitsubishi genuine accessories that put an emphasis on toughness. 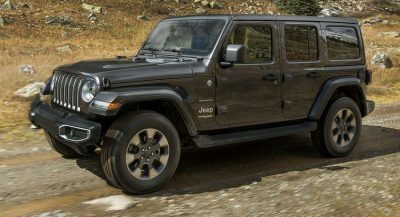 So while it may not be the prettiest thing on four-wheels, it does look a little more adventure-ready than the regular model. 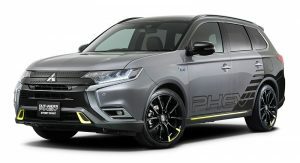 Moving on to the Outlander PHEV Street Sport, it features a two-tone titanium grey metallic exterior with black mica inserts, striped pattern graphics, black mirrors and vivid yellow accents, much like the Eclipse Cross. However, unlike the latter, the Outlander has yellow accents on the front spoiler and on the wheels. Meanwhile, its HFULL Cross RV5 alloys measure 20 inches and are wrapped in Yokohama rubber. As for the Eclipse Cross Street Sport, its yellow accents are found exclusively on the edges of the front spoiler and on the side skirts, whereas its 20-inch HOMURA wheels feature an all-black multi-spoke design. 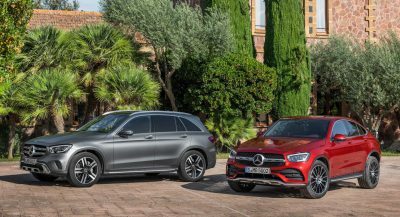 Other details include the side and rear corner extensions, front and rear bumper garnish and a tailgate spoiler. It might want to go off road, but it will never make it anywhere with that design and those wheels and that clearance. Get Real! 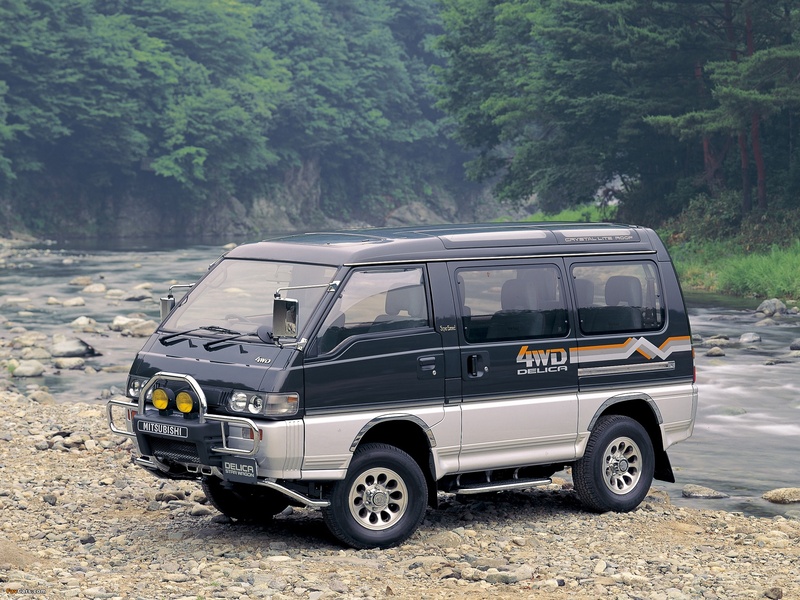 And shouldn’t Toyota be suing them as Delica is just one letter away from Celica. They should protect the nameplates, especially from this type of monstrosity! I’ll just leave these two older ones here. That new face doesn’t work on all the cars. 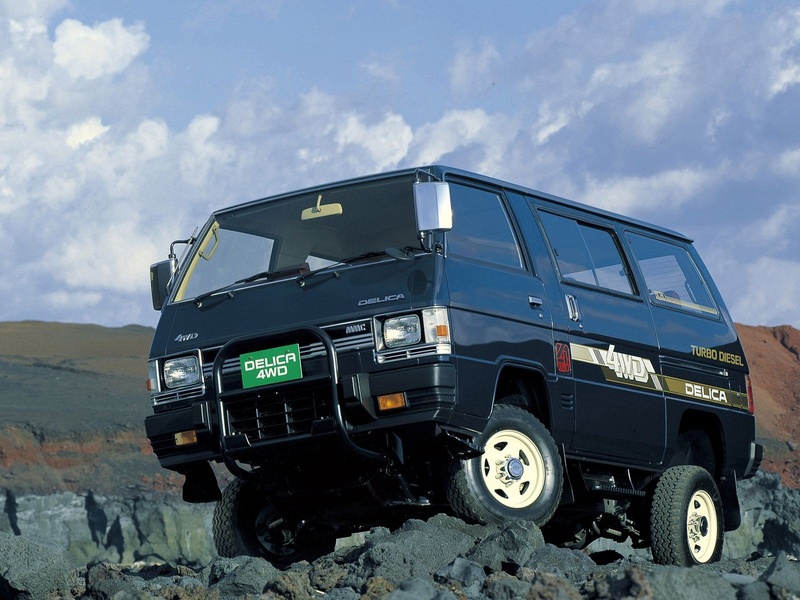 It’s not often that a Minivan that can be taken off-road that’s not an SUV. The van looks pretty sweet. Welcome back to the 1990s! 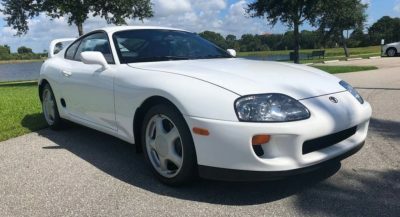 That’s not a nice car. Because it is absolutely hideous. 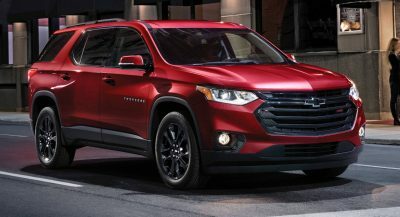 No one would buy this monstrosity, just like no one is buying the new Eclipse Cross. This thing is heinously ugly. So ugly it is almost criminal. Who the hell wants this crap? Glad it isn’t sold in the US. Is it April 1st?…the thing is automotive prolapse.